Whether it is just a simple upgrade or a full renovation, your kitchen is the heart of the home and you want it to have a certain look and feeling, but more importantly you want it to function the way that you need it to. 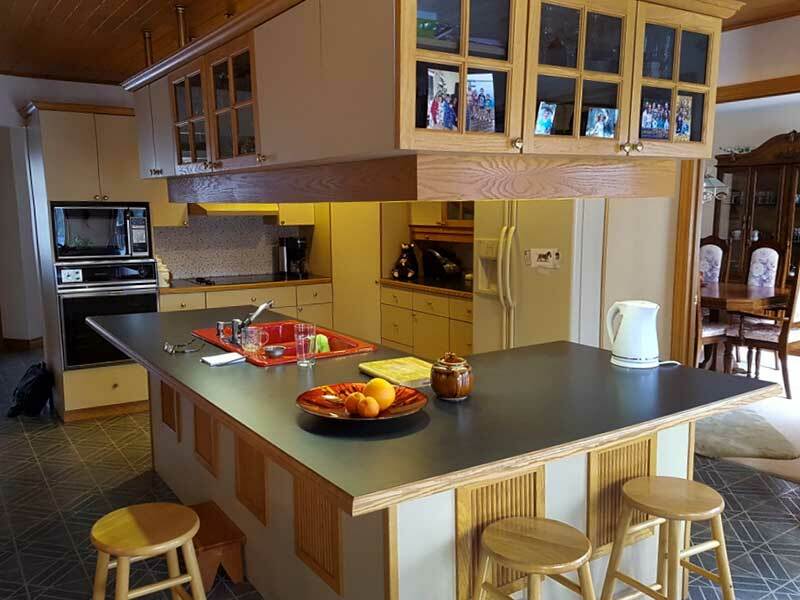 Maybe you are a small family who pops microwave meals in and eats at the kitchen island. We can work with that. Maybe you are a larger family who entertains a lot. Maybe you are a young couple who lives to try adventurous new meals and dishes until you have the money to fly to places for the real deal. We can work with that too. 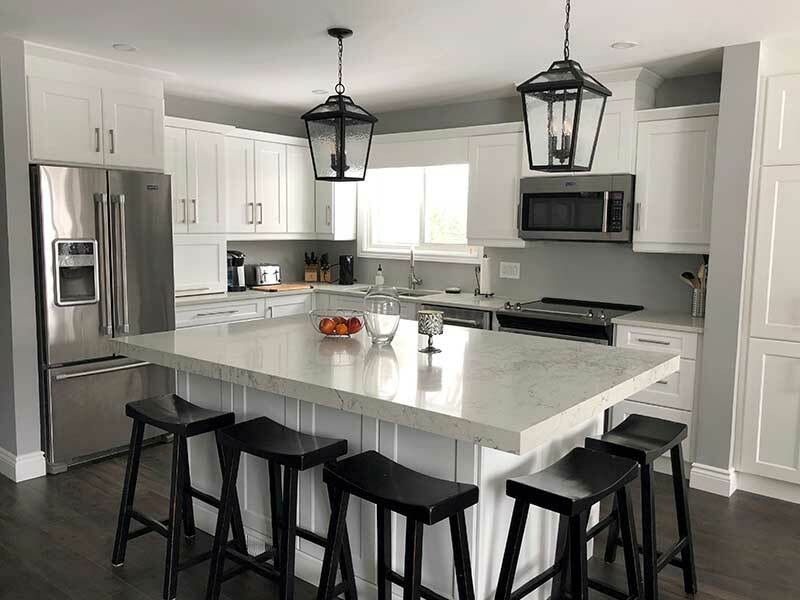 From the planning, measurements, estimate and approval all the way to the installation of everything from cabinets to accessories; we can work with that and with you. 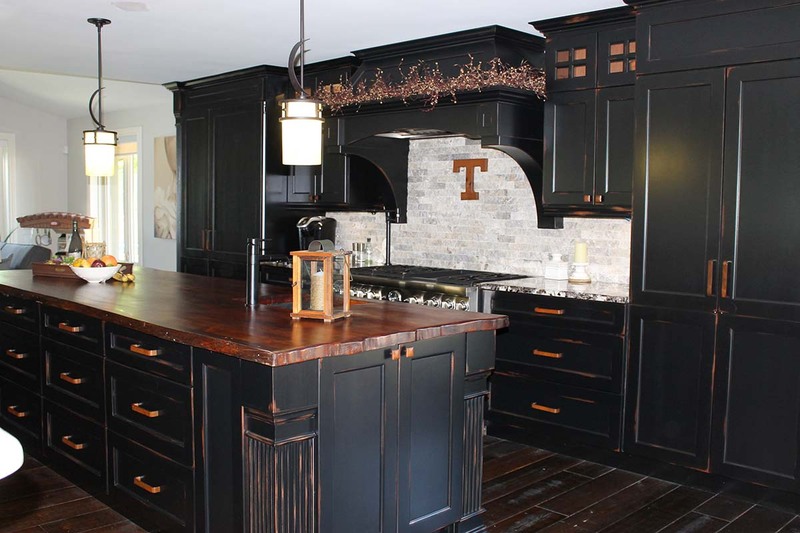 In addition to custom cabinets, upper cabinets, pantry cabinets and the perfect backsplash, we can help you find the perfect solutions to problems like no storage, narrow storage and limited counter space. Adding a kitchen island works in some cases but in a small house with small rooms, things have to get a little more creative. 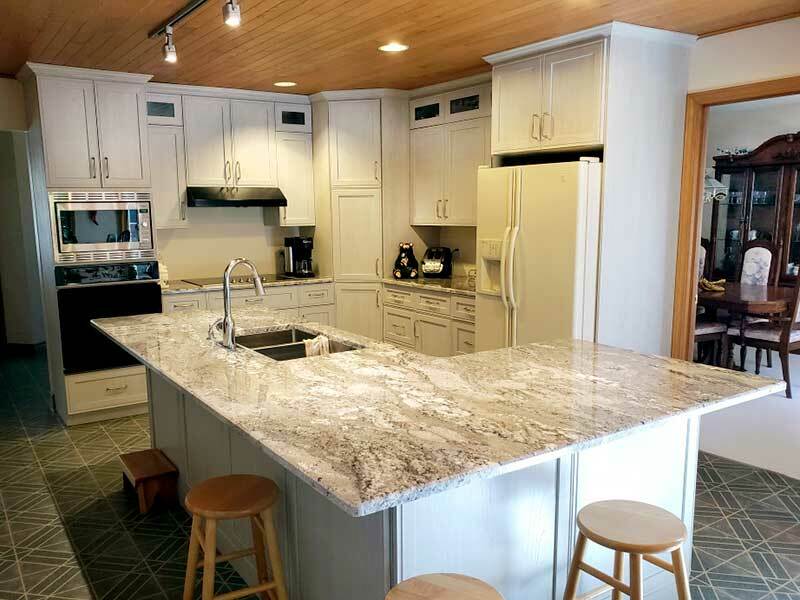 We manufacture kitchen cabinets that not only make the most use of the space available but have creative features that give you more area to work with whenever it is needed. 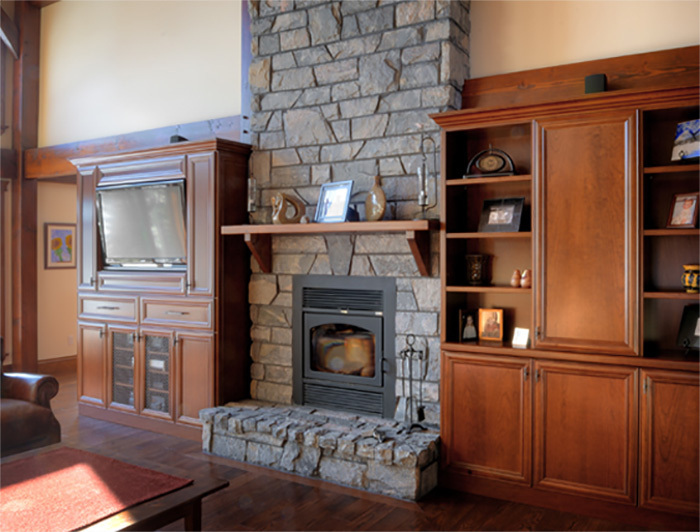 No matter what kind of cabinet ideas you have, we are the right people for the job, start to finish. 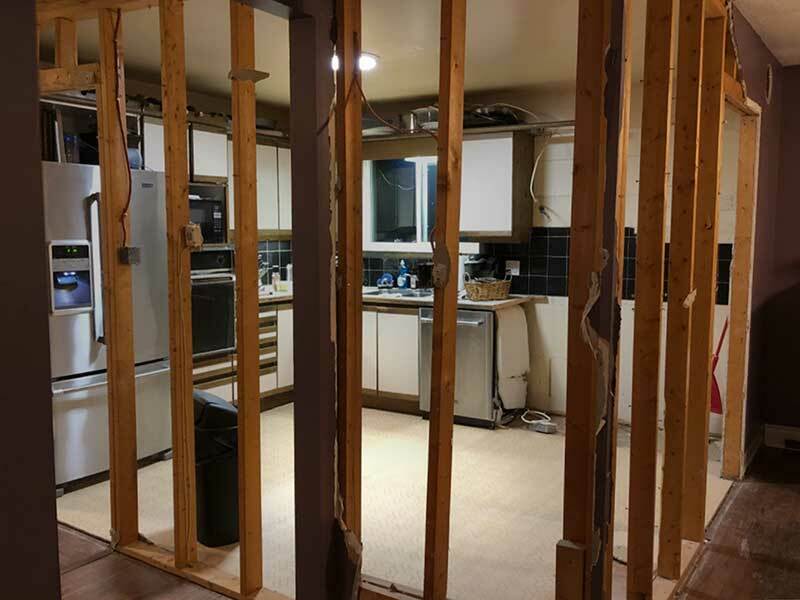 Not ready for a full renovation? 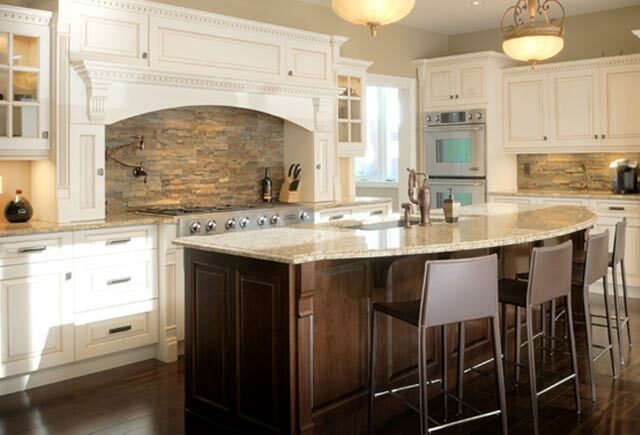 At a fraction of the price, we also offer full cabinet refacing with the ability to choose new doors and finishes, while using your existing cabinetry creating an entirely fresh look. If you’re looking to make the most of a small space, Lazy Susans, LeMans pull-out units and other special cabinet accessories are all possible solutions, and can double your inner cabinet space in a second. 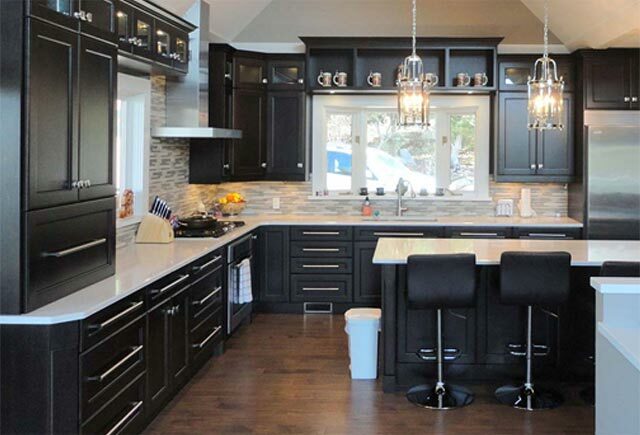 We design & build your Custom Kitchen Cabinetry in-house, right here in North Bay. With unlimited possibilities, Dowdal Cabinets will work with you in creating a kitchen that is both functional and beautiful. The kitchen is the heart of the home but where would we be without a bathroom? We spend so much of our daily lives there that it makes no sense to let it be just another boring room. 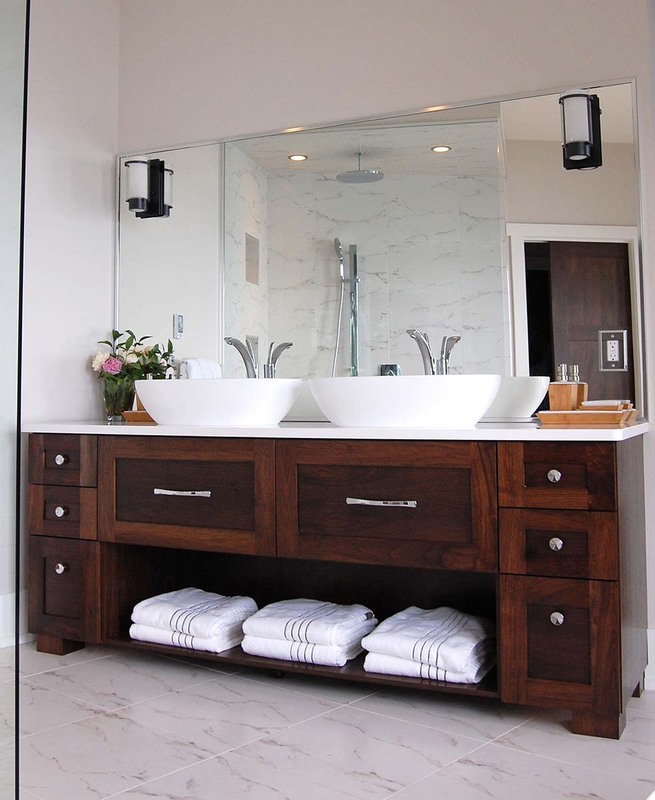 That’s why so much effort is put in to choosing the right bathroom vanity, bathroom sink and medicine cabinets. If you don’t have enough storage in the bathroom you end up with a cluttered mess or worse, you find yourself tucking essentials in other rooms. The first time there is an argument about the need for upgrading the bathroom you simply move all spare rolls of toilet paper down the hall. 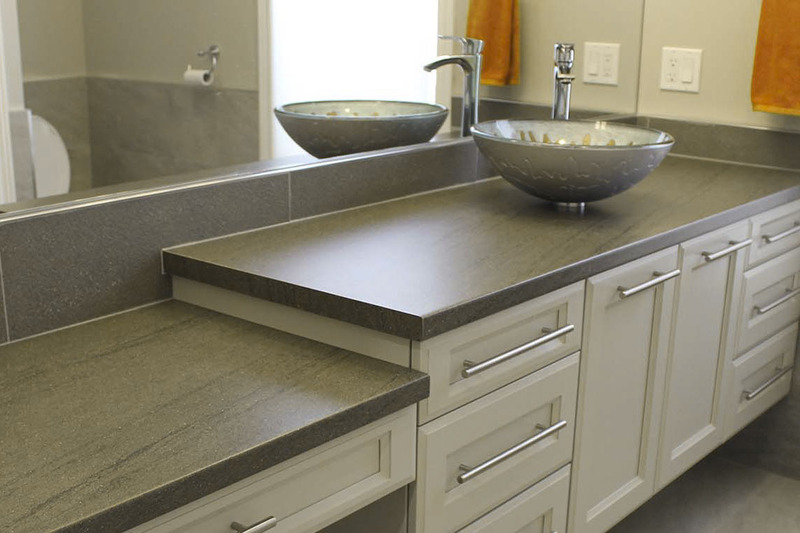 Eventually everyone in the family will be fully and whole-heartedly on-board with the need for bathroom storage and wall cabinets and even a new bathroom vanity. Not a single voice of dissent will be heard, guaranteed. Even in a very small bathroom, good storage ideas can be found. If there is limited walking area, you put a cabinet on the wall. 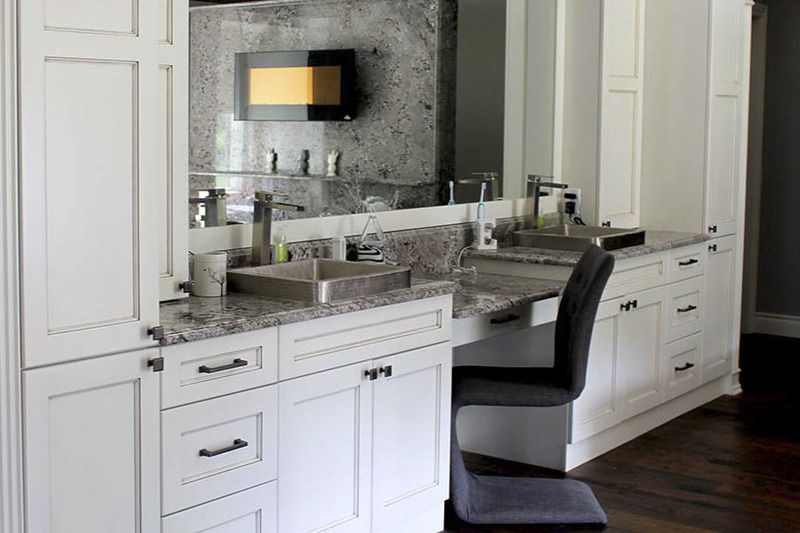 If you don’t have room for a vanity, you use a pedestal sink and look for storage areas in other parts of the room. 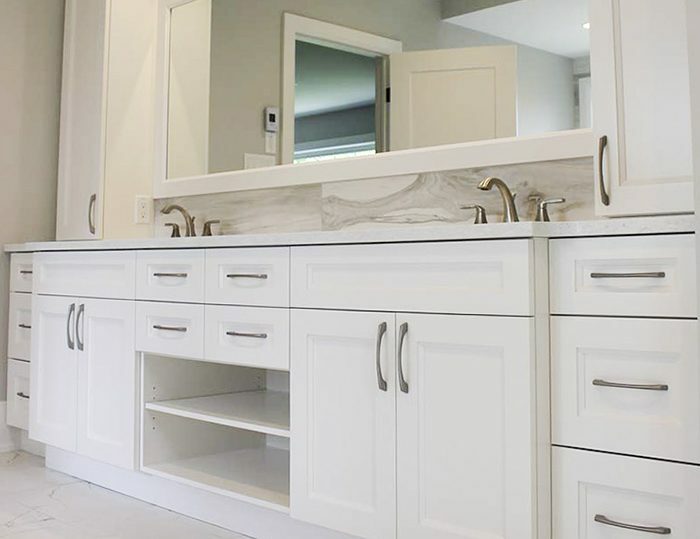 There really is no such thing as “too much” storage in a bathroom so if you have the room to add more cabinets and other storage units, go for it! You’ll be glad that you did. Don’t need us for installation? Our team has the capacity to handle your project from start to finish. But if you already have a contractor or installer lined up, we can provide assistance with design and manufacturing at our production facility located here in North Bay. Talk to us today, and let us help bring your dream to life! 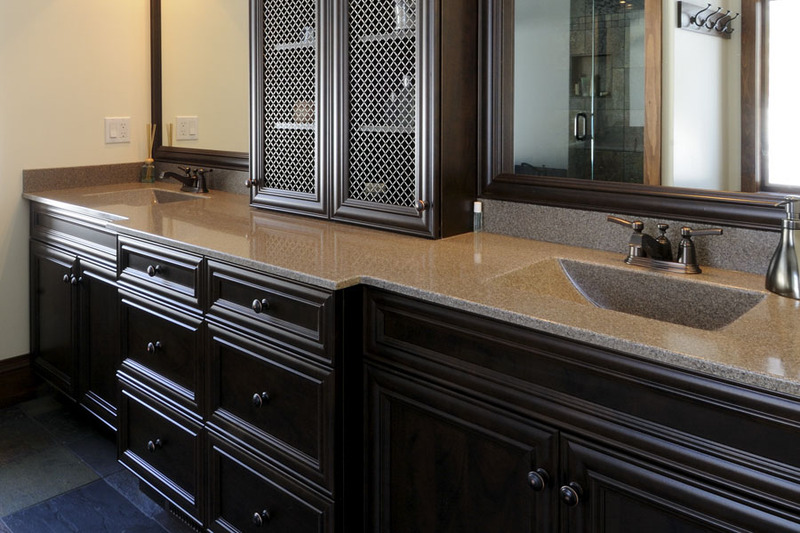 We design & build your Custom Bathroom Vanity in-house, right here in North Bay. With a growing variety of choices, consumers now have more design options available to personalize the space. You know those cabinets that you need in places like garages, laundry rooms or mud porches, the ones that end up holding dozens of things and being the perfect place to stow extras and hide gifts from nosy snoopers? Yes, Dowdal Cabinets can even help you handle those. The storage solutions trends are ever-changing. One thing will never change though: the need for plenty of room in a style that’s reflective of the area you are installing them. You want storage cabinets that actually give you room to store stuff. But, you also want these cabinets to be easy to clean and care for, without giving you extra work to deal with while you are at it. Shaker cabinets are a great choice because their simple, elegant designs and clean lines are easy to clean and you can choose the right finish for you. That is just one of the many options you can choose though. You can get fancy cabinets, even in the garage. That is your space so let’s make it reflect you! Whether you need just one ora whole row of them, good quality cabinets are always going to be an investment that upgrades your home and your enjoyment of that home. 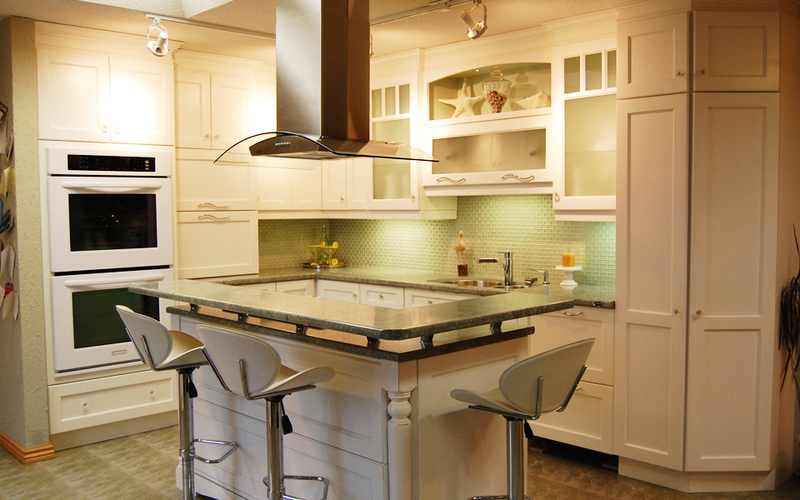 If the kitchen is the heart of the home then the cabinets and counters are the pulse that keeps things flowing there. If you have any plans to improve, modernize or enlarge your kitchen space you will need the right design and the right installers, all for the right price. You need to look at all of the possible materials because there are a lot to choose from. You need to know the pros and cons of each type of material and how it can best work for you. Take pictures of the old kitchen, bring in sketches and print-outs, or just tell us your vision. We can help you create the kitchen of your dreams, and we want your whole renovation project to be amazingly easy and simply amazing when it is finished! We’ve been doing this for sixty years so we’ve learned a thing or two along the way. And we’ve seen trends and fads come and go, some faster than others. Anyone who deals with these types of projects knows that they can be very frustrating especially if you are DIY-er who is out of their element. Working with Dowdal Cabinets takes all of the worry, guesswork and miscalculated slabs of marble out of your home projects, big or small. It’s a big job and you can waste your time and money if you try to take on tasks that you’re not really ready to handle. Having the right person do the job can save you time, money and of course, eliminate the risk of personal injury in the process! 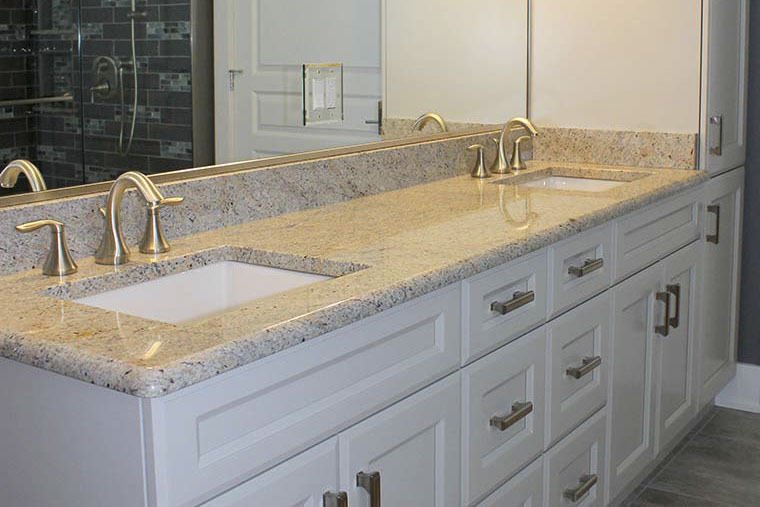 Our local staff have the expertise to design, manufacture and install the kitchen, bath or specialty cabinets and countertops of your dreams. Our family wants to work with your family. Our beautiful 2,500-square-foot showroom offers plenty of browsing room to familiarize yourself with the countless design options, products and finishes available to match your unique style. 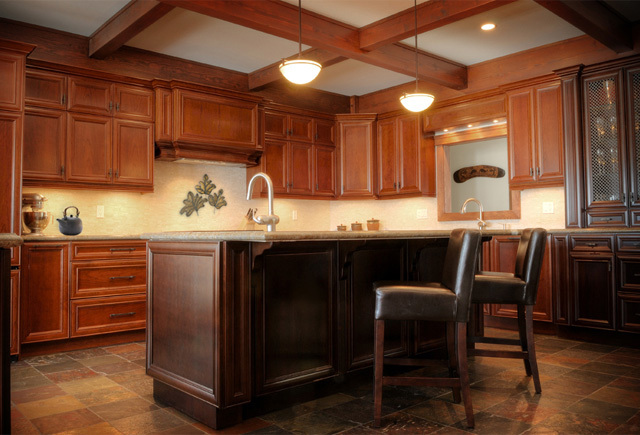 For over 60 years, Dowdal Cabinets has been North Bay’s Design & Manufacturing firm specializing in creating dream kitchens, bathroom vanities and custom specialty cabinetry. Proudly Serving North Bay and Surrounding Areas since 1958.